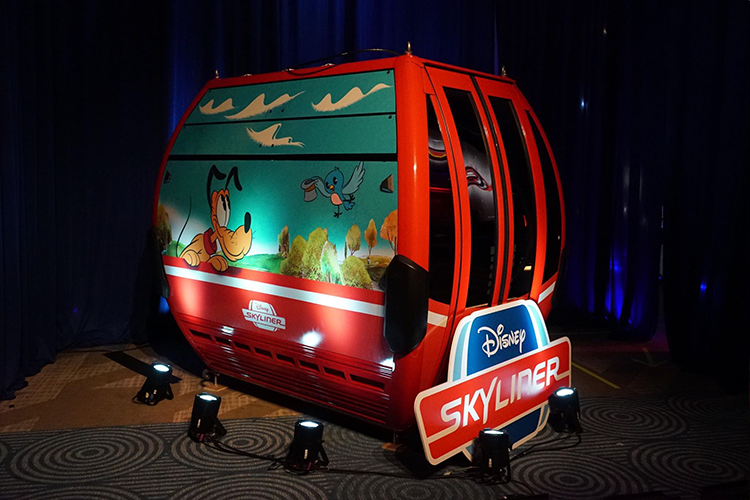 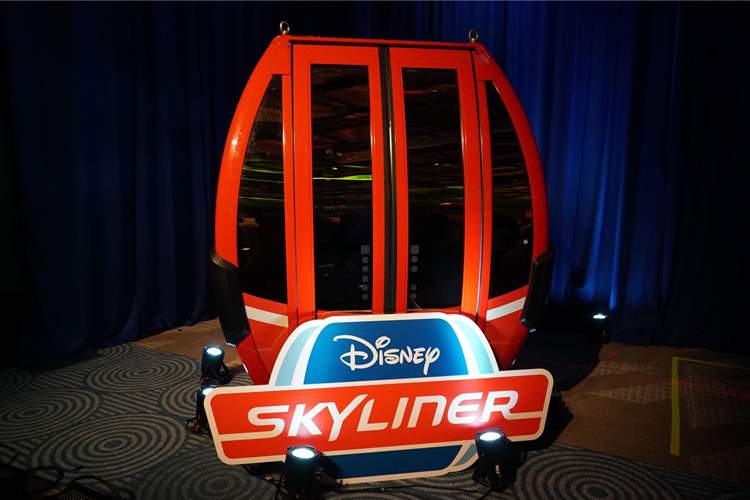 Today at Destination D the Disney SkyLiner was unveiled to guests of the event. 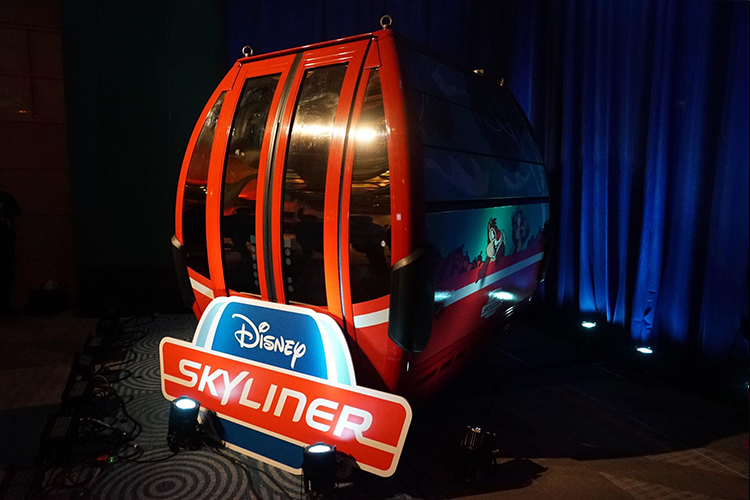 The Disney SkyLiner is an upcoming transportation system at Walt Disney World. 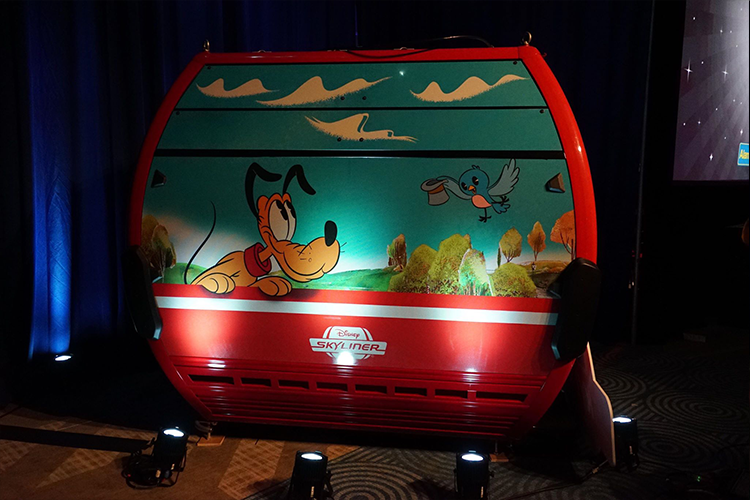 The single red cabin that was on display will be one of many that will carry guests to and from the International Gateway entrance of Epcot, Disney’s Hollywood Studios, Disney’s Caribbean Beach Resort, Pop Century, and Art of Animation.